Channeling its inner Air Jordan 5. Nike is dialing it back to the 90s with the return of its Air Max2 Light sneaker. The performance silhouette will make its way back to shelves in two colorway options seemingly inspired by the Air Jordan 5 “Grape.” The first selection dons the same moniker as the aforementioned Jordan classic with a purple base and teal accents found on its Swoosh and visible Air Max unit in the heel. 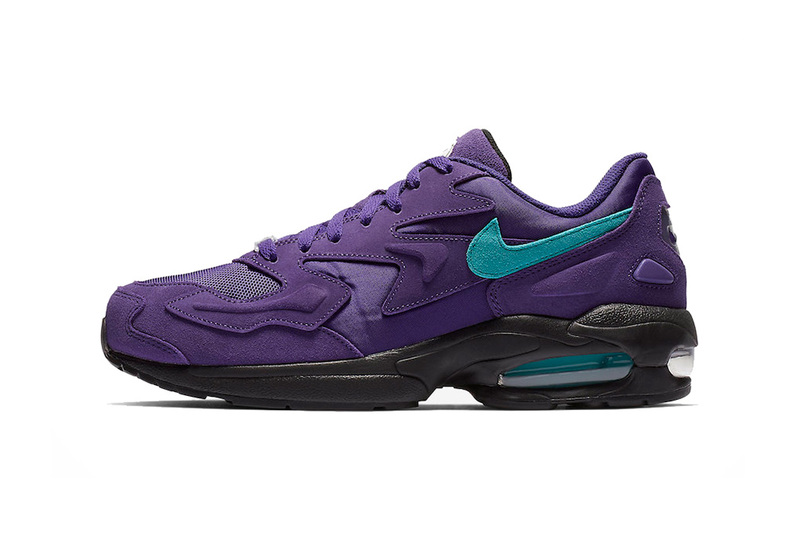 The latter welcomes those same accents in purple onto a bold teal base, dubbed “Reverse Grape.” Each iteration welcomes a mix of suede, mesh and nylon throughout their respective uppers in addition to nostalgic Nike branding found on the tongue and heel. The London musician will serve eight months in prison. Velvet-covered collectibles in 100% and 400%. Utilitarian staples from the stalwart brand. Nike Zoom Fly SP Welcomes a Patriotic Mix of "White/Flash Crimson-Metallic Silver"
The favored colorway meets the translucent runner. Penny’s sneaker heat continues during his coaching career.